Added on January 31, 2017 by Thea Volk. Added on October 23, 2015 by Thea Volk. Cat napping newborn in the studio. Added on January 15, 2015 by Thea Volk. Just this week, my youngest has moved on from her version of crawling, to her version of climbing and yes, STANDING! I am just getting around to sharing these photos of her, where she was beginning to wiggle around on her tummy. I guess that means it's time for a new portrait. Maybe I'll get around to posting those when she is walking. Added on January 1, 2015 by Thea Volk. Happy New Year! Today, I am so pleased with life. Because, as I look back over 2014, I see a life filled with happy occasions. There was a new baby, a rambunctious toddler, a handsome husband, and loads of supportive friends and clients. Okay, so there was also spit up on everything, tantrums at Target, sleeplessness, and epically cold weather. But, really, who cares about all that. Thank you to all of you that made the year sweet. 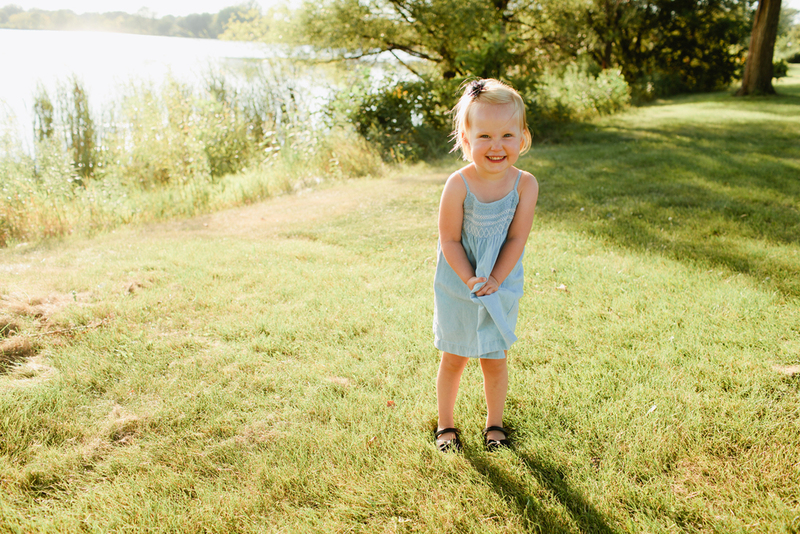 Below are a few of my favorite photos from 2014 or, what I could gather to write this post before Annika wakes from her nap. Added on November 4, 2014 by Thea Volk. I love the light, the movement, the wind, and of course, the kid! Added on October 6, 2014 by Thea Volk. I wanted to share this photo of my beautiful friend, Lindsay. We met when our first children were crawling. We shared many similar philosophies about raising kids. One thing we both found snuggly, functional, and beautiful was wearing our babes in ring slings. There are slings and wraps to suit any mother... or father out there these days. But, the one I get the most compliments on is the ring sling. Let's say its my "dress up" sling. Instead of throwing on a pair of heels anymore, I get out the ring sling. I bought both of mine from Sleeping Baby Productions and can't recommend them highly enough. They are especially perfect for newborns. Added on January 15, 2014 by Thea Volk. ... and he has a mega-watt smile. What was behind all that smiling? Maybe it was the amazing photographer, or maybe, it was the Baby Einstein Take Along Tunes radio. Parents, you know what I'm talking about.